The Labour Party have chosen one of their youngest candidates in Ireland as their new standard bearer in Dublin 12. 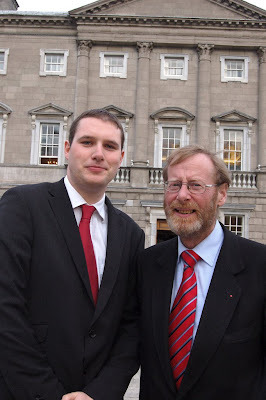 Dermot Looney, a 25-year old campaigner from Greenhills, has been selected by Labour for next year’s local elections in the Terenure-Rathfarnham ward, which covers areas including Greenhills, Perrystown, Templeogue, Rathfarnham, Knocklyon and the W.O.R.K. area. Greenhills-based Dermot Looney is an experienced activist with a huge range of experience covering local, national and international issues. 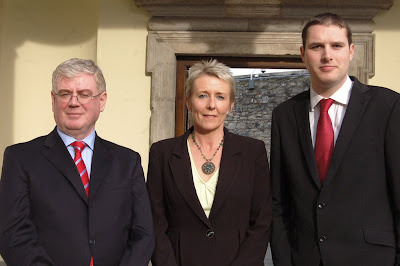 From 2005-06 he led the local Labour Youth campaign to reinstate Joanne Delaney, a shop steward in the Ashleaf Centre Dunnes Stores who was sacked because of her trade union activity. He has been active in local development issues, supporting a Compulsory Purchase Order for the derelict site of the former McHugh’s Shopping Centre on St James’ Road, and has been involved with a number of local sports clubs and community associations. 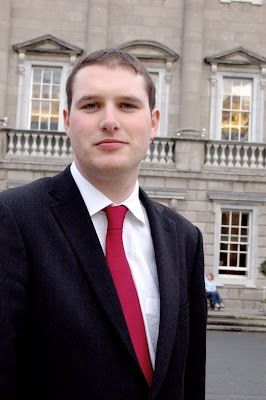 Looney joined the Labour Party in 2003 and was previously the Chair of the UCD Pat Upton Branch, the National Communications Officer for Labour Youth. Looney has also led campaigns for decent public healthcare and access to education and is an active member of campaigns as diverse as the anti-war movement, the Shell to Sea campaign, Burma and Palestinian solidarity and students’ rights. 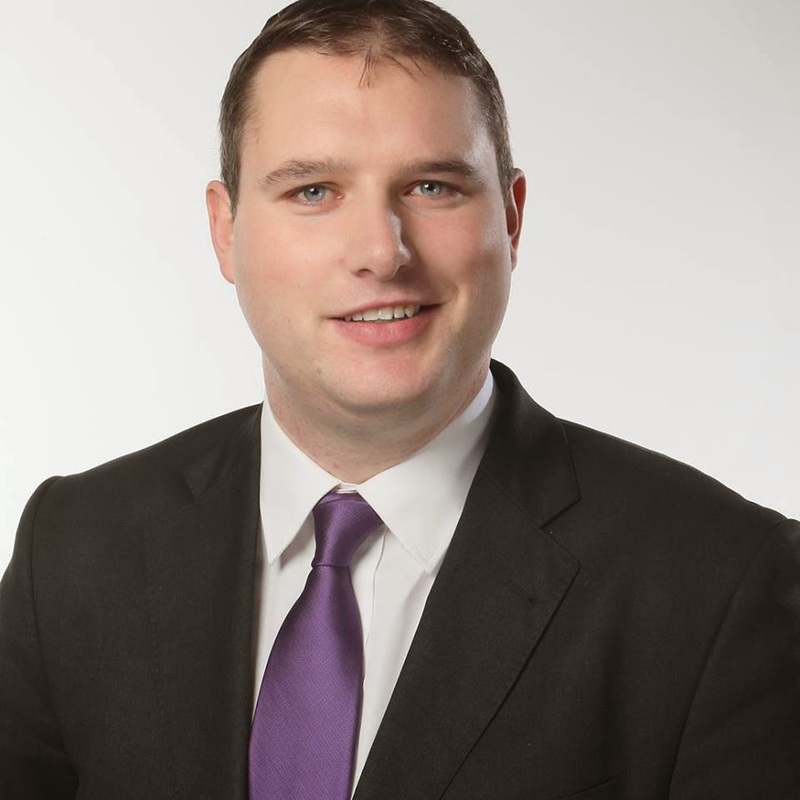 He is a primary schoolteacher who attended St Peter’s BNS and Greenhills College VEC before graduating with an honours degree in Social Science from UCD in 2005, where he specialised in social policies in the areas of education, housing, health, social welfare and employment. He is currently completing a postgraduate diploma in primary education and is an award-winning sports journalist. A soccer fanatic, Looney is a Patron Member of St Patrick’s Athletic FC and was involved in the recent successful campaign to keep Pat’s at Richmond Park. Looney’s selection is supported by Greenhills-based Councillor Eamonn Walsh (right), who will step down from the Council next year having been first elected in 1991. Looney has been selected with Pamela Kearns and Cllr Paddy Cosgrave to contest the 7-seat ward for Labour. Speaking on his selection, Looney stated that he is “honoured to be asked to stand in next year’s election and to follow in the footsteps of Eamonn Walsh. I am standing to represent those who most need a strong voice on the Council – older residents, working people, our new communities and those who have been left behind or excluded from society,” he said. “There is a unique community spirit and sense of belonging amongst the people of Greenhills, Perrystown and other areas of Dublin 12 and 6 West. This is the fundamental basis of what the Labour Party is about – promoting community through equality, freedom, democracy and solidarity. For me, our local community and the essence of the Labour Party go hand in hand,” Looney noted.